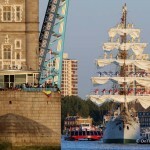 ACCESSIBLE tall ship Lord Nelson has been in London and received a royal visitor as part of her 30th anniversary events. 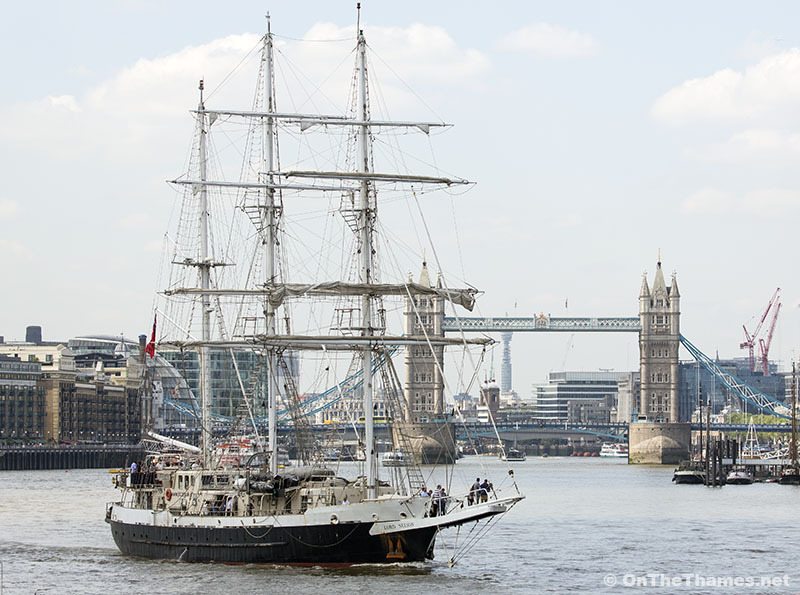 Nellie, as she is nick-named, arrived in the capital on May 23rd and has been moored at HMS President in Wapping. 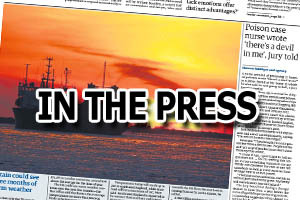 Earlier this week, the Duke of York went on board Lord Nelson to meet crew members and attended a reception at HMS President for supporters of the ship. 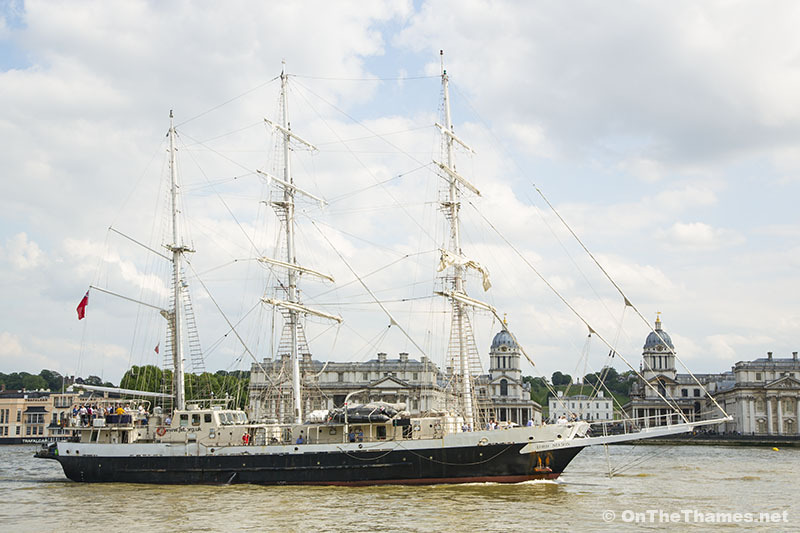 STS Lord Nelson was officially named in July 1986 and went on her maiden voyage in the following October. With the bowsprit included, Nellie is just under 55-metres long and carries a crew of 50. 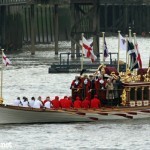 There are 12 permanent crew and 38 voyager crew, half of which can be physically disabled with up to eight wheelchairs. 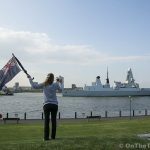 Yesterday afternoon Nellie departed from HMS President to head down to Woolwich on a day sail before returning up the river and going through Tower Bridge. 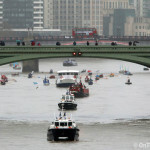 Now back at HMS President, she's due to leave London at 5pm on Saturday 28th, bound for Stromness. 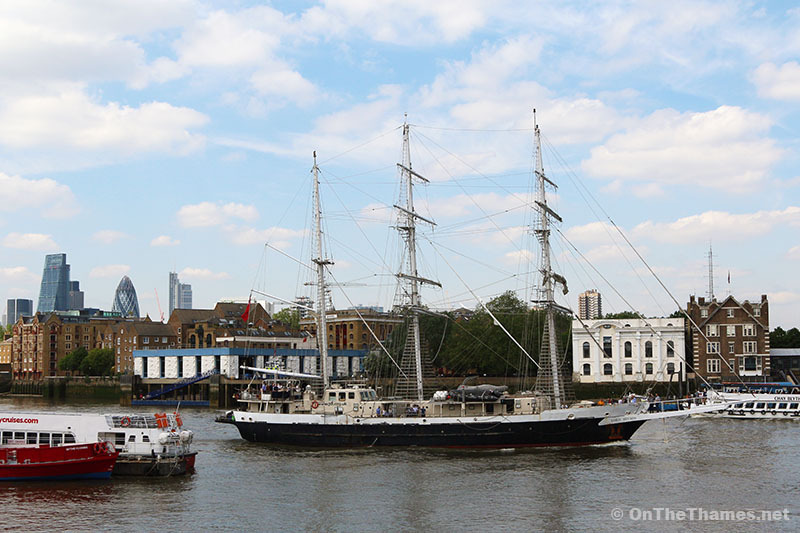 Seen from Rotherhithe, Lord Nelson heads down river before returning later in the afternoon. 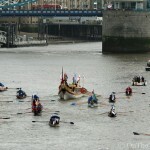 Nellie passes Wapping on her way down river. Having turned around Woolwich, Lord Nelson returns up river passing the Old Royal Naval College where, as Greenwich Hospital, Lord Nelson himself spent some time convalescing following the loss of his arm.